The Orcus RGB and Orcus Core RGB models are cooling specialist Raijinktek's latest AiO water cooling solutions for desktop CPUs. Both models follow on from the Triton series of AIO coolers, adding RGB lighting (including two IRIS 120mm RGB fans for the Orcus RGB specifically), but innovate through an external pump detached from the CPU waterblock. This feature allows more flexibility when installing the heatsink on the CPU, and also serves to reduce the stress motherboard sockets are placed under due to vibration. Contrasting with the Orcus RGB, the Orcus Core is a stripped down all-in-one cooling unit offering the same performance but without the addition of IRIS 12 RGB fans. Like the Orcus RGB however, the Core model retains an RGB LED element atop the CPU heatsink. Both AIO units still feature an RGB controller and remote included in the box. 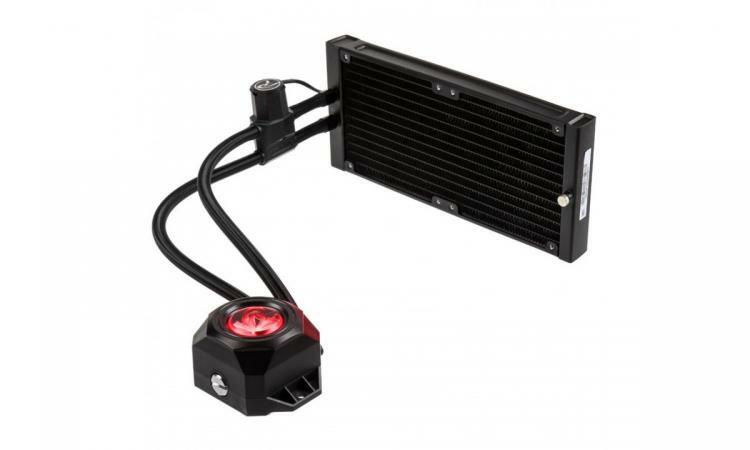 The Orcus Core comes with a 240 mm dual-design radiator which features an integrated reservoir and external pump. By reducing the total height of the radiator unit to 120 x 27 x 272 mm Raijintek offer an AIO solution that's suitable for builds where space is at a premium. A transparent window included on the external pump allows you to monitor the volume of coolant, with a built-in flow through indicator to indicate current performance. The graphite and ceramic bearings fitted ensure a maximum throughput of 66 L per hour at 5000 RPM with a volume of 25 dB(A). The base of the heatsink dissipates heat from the CPU towards the radiator, where the liquid coolant flows through twelve channels of the fins ensuring a constant transfer of heat to the RGB fans included with the ORCUS. Running at a maximum of 1800 RPM, the fans achieve airflow of 71,65 m³/h while producing a volume of 23 dB (A). The high static pressure of 1.7 mm H2O is a result of the IRIS 12 Rainbow RGB-LED fans cooling the 27 mm thick radiator. The Orcus Core's mounting system is designed for Intel Socket 775, 1150, 1155, 1156, 1366, 2011, 2066 as well as for AMD boards e.g. AM2(+), AM3(+), AM4 and FM2(+). Installation is tool-free with thermal paste pre-applied for convenience, and so will be a straightforward process for the majority of users. Raijintek's Orcus range is available at OverclockersUK. 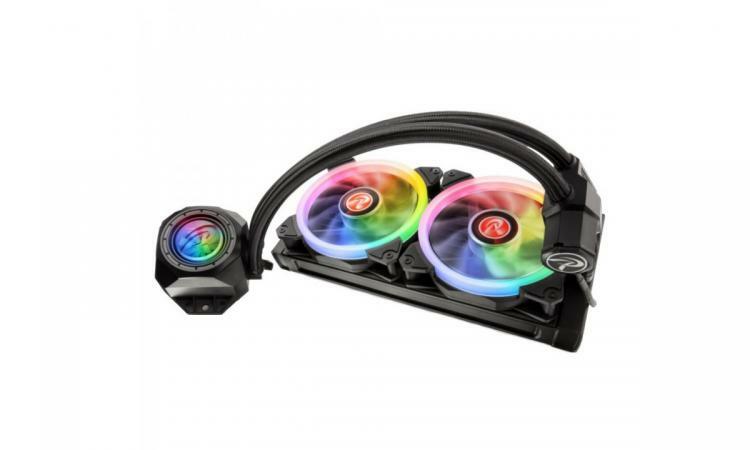 The Orcus Core RGB 240mm AIO Cooler has an MSRP of £79.99, while the Orcus RGB 240mm is priced at £99.99. More information on both models, including further detail on the external pump design, can be found at Raijintek's product page.